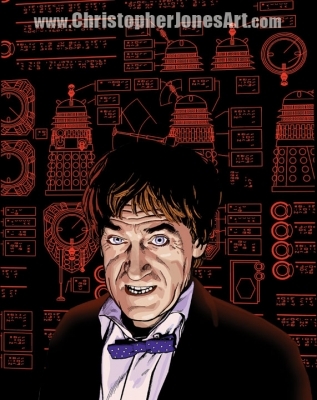 Doctor Who: Patrick Troughton as the 2nd Doctor. The line art was drawn by hand with pen and ink, color and texture effects were added in Photoshop. The Web Site URL does not appear on the actual print.